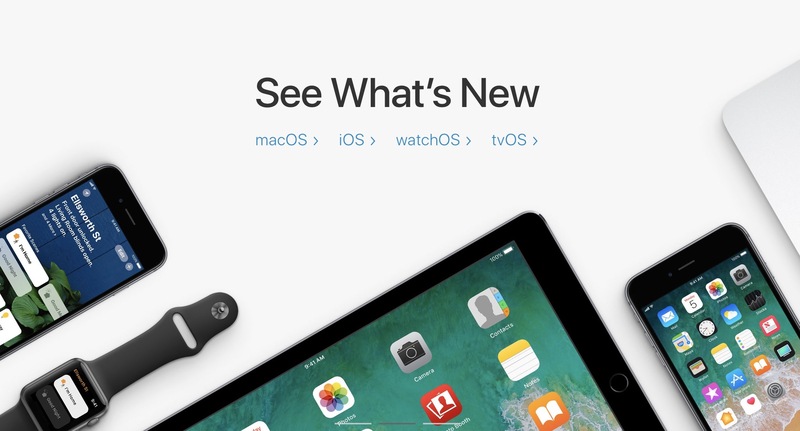 After the end of Apple’s jam packed media event, Apple released the final GM builds of iOS 11, tvOS 11, and watchOS 4. Apple has been testing the latest versions of their flagship operating systems since WWDC in June. The GM, or Gold Master, build is the final build delivered to developers and testers before being released to the pubic. This is what developers can test on to be sure their apps are ready and operating correctly. All four of Apple’s major updates will be available next Tuesday, September 19th. Just before the release of the new iPhone’s, Apple Watch, and Apple TV. iOS 11 is a huge update for iPhones and iPads. Included is a new File app, a host of new HomeKit features, customizable Control Center, redesigned lock screen functionality, several pro features for iPad, and so much more. watchOS 4 brings a whole new workout app, redesigned dock, new animated watch faces and complications, and much more. macOS High Sierra is one of the largest updates ever for Mac, though much of it is under the hood. It gains notable improvements like Metal 2, support for the Apple File system, virtual reality support, and updates to your favorite Apple apps. tvOS 11 includes on a few new features like automatic dark mode switching based on time of day, and Home screen sync with your other Apple TVs. Be sure to keep and eye on iDownloadBlog, and subscribe to our YouTube channel for all the new features across Apple’s new updates.